Logan J Hunder is a 23 year old Canadian author from Victoria, British Columbia. After graduating college with a degree in Criminal Justice, he directed his writing abilities towards novels where his insistence to crack jokes would be less frowned upon. 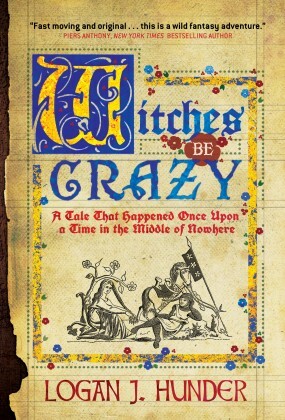 His debut novel, Witches Be Crazy, has received praise at the Los Angeles International Book Festival. Logan still lives in his home town along with his cat and growing collection of Lord of the Rings weapons.